Omkareshwar, is an auspicious Jyotirlinga of Lord Shiva on an ‘OM’ shaped holy island on the River Narmada, situated between Indore and Khandwa. The island comprises of two lofty hills and is divided by the valley in such a way that it appears in the shape of scared symbol, ‘OM’. One of the 12 revered jyotirlingas in the subcontinent, it is surrounded Vindhyas on the North and Satpura on the South. On the shore of river Narmada, stowed away in western Madhya Pradesh, Omkareshwar is at a distance of 77 KMs from Indore. Being a sacred religious centre, one can find scores of other temples in the vicinity - Panchmukhi Ganesh Temple, Mamleshwar Mandir, Vrahadeshwar Temple, Govindeshwar Temple and Annapoorna Temple to name a few. An unbelievable spiritual gush ruptures over the town during Maha Shivratri and Kartik festival with thousands of devotees flooding the place. 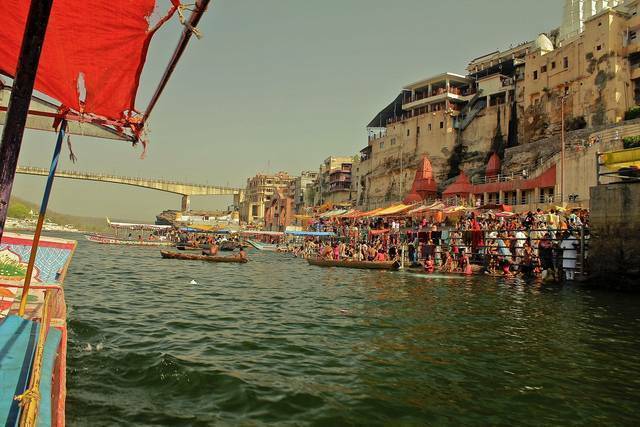 Well-connected by rail, bus and air to nearby cities, reaching Omkareshwar is through steamboats. There are numerous legends associated with this holy site and is hugely popular on the pilgrimage circuit. Along with Omkareshwar Mahadev temple, the site also has Siddhanath Mahadev temple. Omkareshwar is visited by devout devotees, nature lovers and those seeking peace of mind. It is best to avoid a visit to Omkareshwar during summer because of the oven-like temperatures. But winters are quite pleasant and delightful, making it ideal to visit the place.